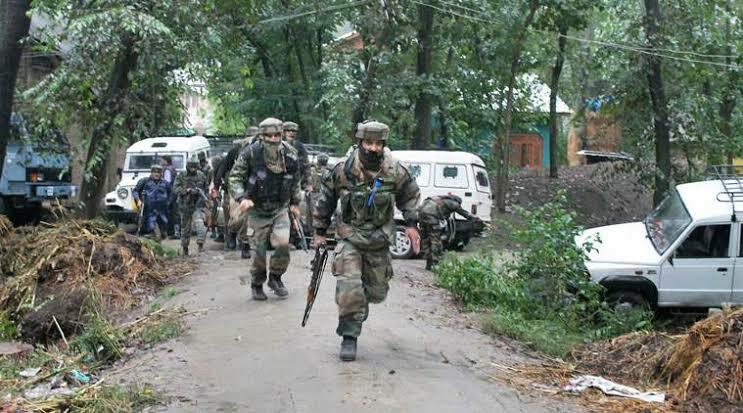 Srinagar: Two militants of Hizbul Mujahideen outfit were killed in a gunfight at Gopalpora area of central Kashmir’s Budgam district on Wednesday. A police spokesman said in a statement that based on a credible input about the presence of militants in Gopal Pora area of Chadoora, a cordon-and-search operation was launched in the intervening night jointly by Police and security forces in the area. As the searches were going on, the search party was fired upon by the terrorists. The fire was retaliated leading to a gunfight, he said. In the ensuing encounter, 02 militants were killed and the bodies were retrieved from the site of encounter. Their identities and affiliations are being ascertained, he said. Incriminating material including arms and ammunition was recovered from the site of encounter. Police has registered a case and initiated investigation in the matter, he said. The officer identified the slain as Hilal Ahmad Wani son of Mohd Akram Wani of Manchwa Yaripora, Kulgam and Shoaib Mohd Lone @Mursi son of Late Arshad Hussain of Bumrath, Kulgam. “As per police records, both the slain were affiliated with Hizbul Mujahedeen outfit and were wanted by law for their complicity in a series of terror crimes including attack on security establishments and civilian atrocities. Hilal Wani had a long history of crime records and was involved in several militancy cases,” he said. Hilal was the main person responsible for the recruitment into the militant fold and was longest surviving militant who was operating across the southern and central belts of the valley ever since he had joined the militancy ranks in 2015. He was responsible for conspiring and executing many attacks on the security establishments in the valley, he said. “Similarly Shoaib Lone @ Mursi was involved in several attacks and other civilian atrocities and several cases were registered against him. He was also part of groups involved in conspiring and executing militant attacks in the valley,” he said. After proper identification, the bodies of the slain were handed over to their respective families after completion of medico-legal formalities, he said. Reports said that thousands of people participated in the funeral prayers of the slain at their respective native villages. Both the militants were later laid to rest amid pro-freedom slogans. Meanwhile, the spokesman further said that the citizens are requested not to venture inside encounter zone since such an area can prove dangerous due to stray explosive materials. People are requested to cooperate with police till the area is completely sanitized and cleared of all the explosive materials if any.